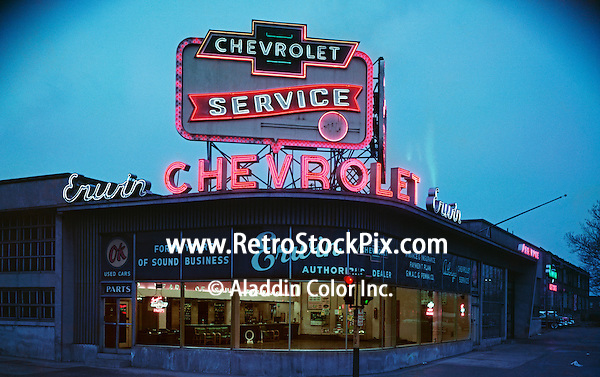 Erwin Chevrolet Car Dealership at night. Huge neon sign. 1958. PA.